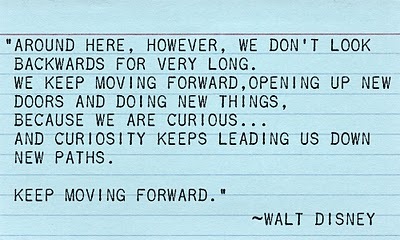 I found this quote by Walt Disney that really speaks to me! It's funny when you read quote's, sometimes they mean nothing but for some reason , this quote really grabbed me today! Maybe it's because I am one who enjoys taking new paths in life, or may be because my life is taking a few new paths at this moment? and who's empire today is remarkable!! !